Express Employment Professionals is a leading staffing provider in the U.S., Canada and South Africa. Every day, we help job seekers find work and help businesses find qualified employees. 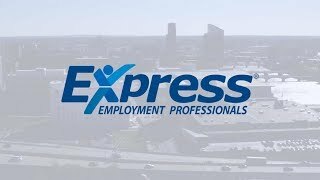 The Grand Rapids, Michigan Express office was founded in 1996 and is proud to serve our community by helping people find jobs and helping businesses find the people and human resource services they need. Our Grand Rapids office is locally owned and operated and dedicated to the mission of helping people succeed. Last year in Grand Rapids, Michigan we provided a bridge for over 2,500 people to a job and career pathway. We partnered with over 200 client companies to recruit and retain job candidates. And, we developed the skills and leadership abilities for hundreds of employees. For both our job candidates and our clients, the services of Express Employment Professionals extend beyond a placement or a singular role. We build relationships that support sustained success, personal growth, and business development. We are your partner in Grand Rapids for personal and staff development. We are a Mayor's 100 Business! The Mayor’s 100 is a campaign that identifies 100 local business’ that are interested in partnership with the City of Grand Rapids to provide meaningful jobs for young people in high school and in college. Partnerships reveal an interest in the future of West Michigan’s youth, and the possibility of public and private sectors working together to support an area’s families and their learning.